I think crochet needs a little playing time around these parts today. I love the new baby crochet book by Robyn Chachula. 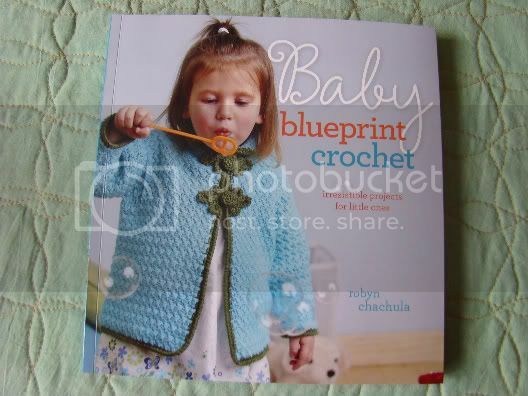 The book is called Baby Blueprint Crochet and it is well-worth your time, money and effort. Robyn is a huge crochet talent and her eye for all things baby make this book a complete treat. Robyn happens to love our yarns as well and so I want to share the Spud & Chloë and Blue Sky Alpacas projects that made it in the book. I think they are the best projects in the collection…. maybe it’s the yarn. The Popsicle Boots make me smile. I simply love this project. The boots are worked up in Spud & Chloë Fine. Click here is the Ravelry project page for the Popsicle Boots! It is the best that the closure is snap tape. That is superb design on all fronts. 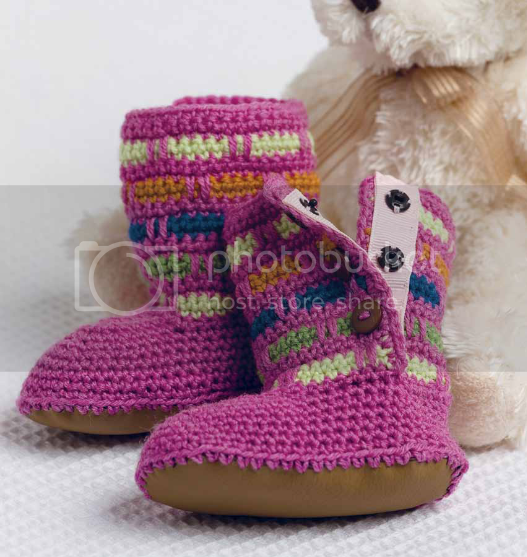 Don’t you just want to make these little boots? I do. The Charlie Vest is made up in Spud & Chloë Sweater. I think zippers in kids’ clothes are the best. This one looks comfy and cozy and completely wearable. 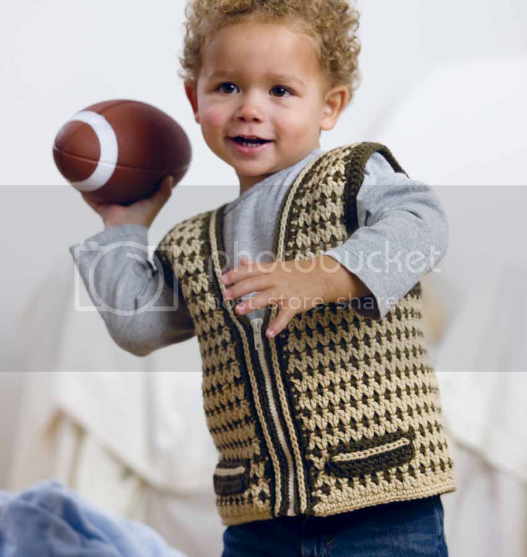 Click here for the Ravelry project page for the Charlie Vest. I love the Hank Vest. 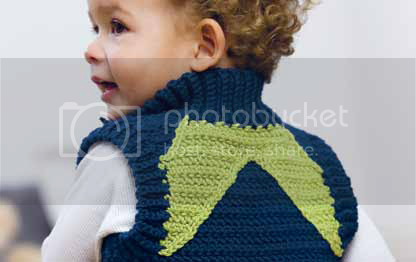 I think the Grass colorway in Spud & Chloë Sweater on this vest looks like little angel wings. The front is just as cute. Click here for the Ravelry project page for the Hank Vest. Kyla’s Mod Stroller Blanket is made in our Blue Sky Alpacas Worsted Cotton. This is a gorgeous little puzzle of a blanket. I really want to make this one in a bad way. It is cute, interesting, the colors are spot on and it looks like a good skill building project. 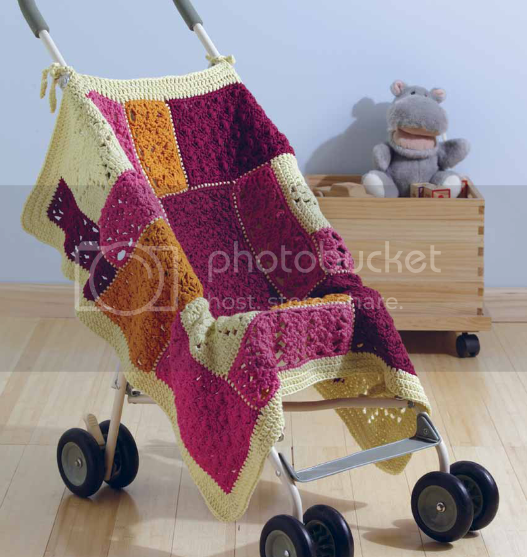 Click here for the Ravelry project page for Kyla’s Mod Stroller Blanket. Click here for the complete project overview for Baby Blueprint Crochet! Listen to Robyn talk about how much she loves Spud & Chloë on the Yarn Thing Podcast! I hope you’ll take a look at Baby Blueprint Crochet and that you’ll enjoy it as much as I do. For you new crocheters, Robyn is a genius and experienced teacher. She is known for breaking down instructions clearly and for visual crochet, which is the use of charts. Robyn’s instructional section in the book is like none-other. I will use it for a reference from here on out. 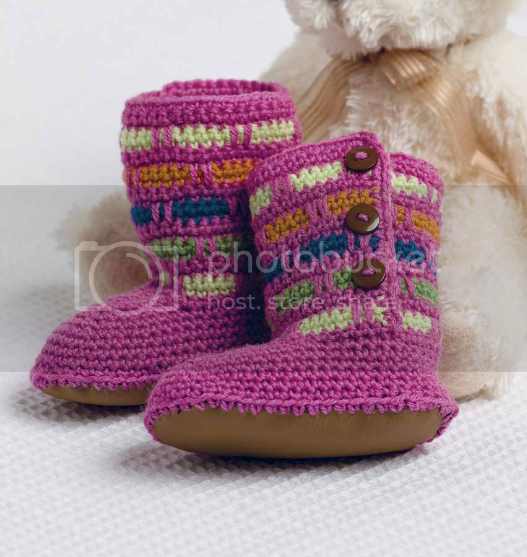 For experienced crocheters, you will love the ease and sophistication of these projects. I’ll be back with lots of exciting news that will include new colorways for our yarn lines AND an upcoming knitalong right here on Spud says! I am so thrilled about all of this I can hardly keep my mouth (or my fingers) shut! Cedar Wrap – Free Pattern!